I can't play chess. Technically, I know how to but somehow, I've barely ever won a game. Perhaps it's because I've only played against my dad, two brothers and a cousin, all of whom are experts in the game. Come to think of it, the same applies for Carroms. With carroms though, its coz my striking finger just does not want to listen to my brain, asking it to unleash the damn strike. I'd literally take a minute or two after deciding to take the shot, to actually get the striker to move. No prizes on guessing how successful that would be. Irrespective, i think there's scope to make some very interesting chess and carrom boards, out of the ordinary designs. 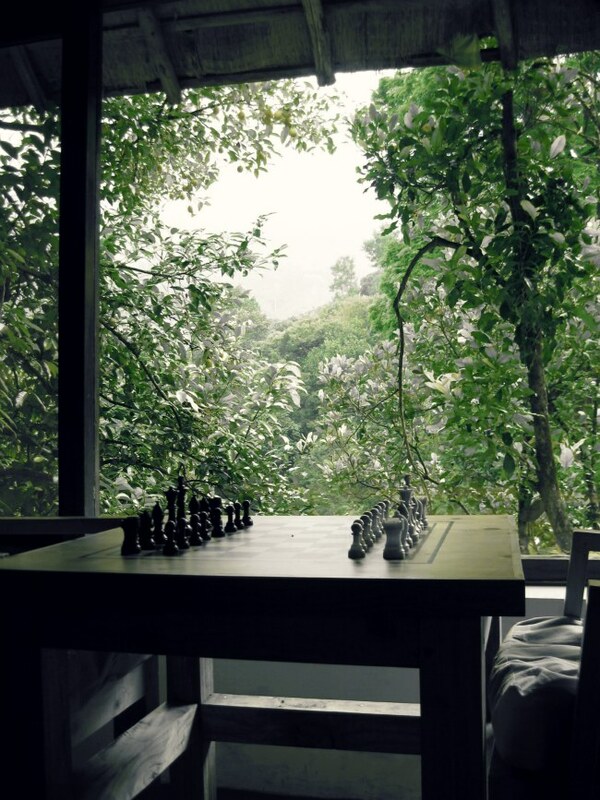 This table top chess board was in the rec room of the Kurumba Village Resort, near Conoor - TN. Very subtle space, nestled in a very green valley. Must visit for anyone who just needs to escape.